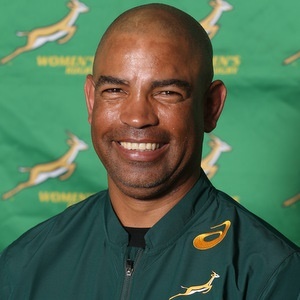 Cape Town - Springbok Women's coach Stanley Raubenheimer believes his squad has a solid base to build from this year following the conclusion of their national assessment camp in Worcester last Saturday. "The objective of the camp was to assess where the players are in terms of their conditioning, and while there is work to be done, it is pleasing to see the willingness among the players to do it," said Raubenheimer. "They all know where they are in terms of the fitness levels required for their respective positions, so we have a solid base to build from." Raubenheimer said another objective of the assessment camp was to demonstrate ways to train effectively with limited equipment - which is especially useful for the players who do not have access to gyms in the rural areas. "It seemed as though we were constantly starting from a zero base at each camp in the past, so ensuring that the players have the knowledge and equipment to work on their conditioning daily in their own training environments was a key focus," said the coach. "It is important that we reach a stage where we can go straight into the rugby structures when we assemble in future. "Thanks to the assistance from the Departments of Sport and Recreation at the various provinces, some of the players are also receiving support with their rehabilitation and testing, so we are improving in that regard as well." "We are planning to assess the players again in May, but this time we will arrange visits to their unions, so that we can see first-hand how they train in their own environments," said Raubenheimer. "We are then planning to have further training camps in August and September, but the emphasis at these camps will be mainly on the rugby side of things."